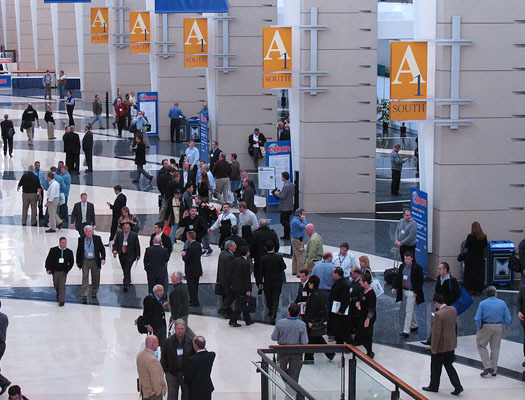 SharePoint Fest returns to Chicago, Illinois December 5 – 8, 2017 at McCormick Place South. Rightpoint is an independent customer experience agency that creates seamless digital experiences driven by insight, strategy, technology and design to transform the way users do business and the agency will be on the expo hall floor as a gold sponsor of this annual technology conference. At SharePoint Fest Chicago, an exclusive SharePoint and Office 365 technology conference, attendees will learn from the brightest minds in the SharePoint universe. 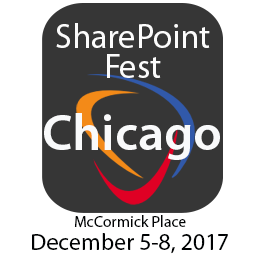 SharePoint Fest Chicago will begin with two days of pre-conference workshops on December 5 and 6, 2017, followed by a two-day conference (including an expo hall) on December 7 and 8, 2017. Be sure to stop by the Rightpoint booth to see how they are an independent customer experience agency with technology at their core. Rightpoint is an independent customer experience agency with technology at our core. We create seamless digital experiences driven by insight, strategy, technology and design to evolve the way our clients do business. Rightpoint serves more than 250 Fortune 1,000 companies with strategy, site design and development, content, CRM, commerce, BI and cloud infrastructure. Named one of Crain's 50 Fastest Growing Companies in Chicago for four consecutive years, Rightpoint is the largest independent agency with 350 employees across eight U.S. offices. For more information, visit rightpoint.com. SharePoint Fest is in its seventh year. It offers a two-day conference (with two optional pre-conference workshop days) that brings together SharePoint enthusiasts and practitioners, with many of the leading SharePoint experts and solution providers in the country. Attend SharePoint Fest Chicago where attendees will be able to attend workshops and seminars – taught by Microsoft Certified Trainers, Microsoft engineers, and Microsoft MCM's and MVPs – covering Enterprise Content Management, Implementation/Administration, Business Value, Search, Business Intelligence, Office 365 and SharePoint Development. Attendees will be able to choose one complete learning track or mix and match based on what content best meets their current needs. At SharePoint Fest Chicago, there will be sessions created for SharePoint administrators, software developers, business analysts, information architects, and knowledge workers, which will ensure that attendees walk away with as much knowledge as they desire to truly leverage SharePoint in their current environment.